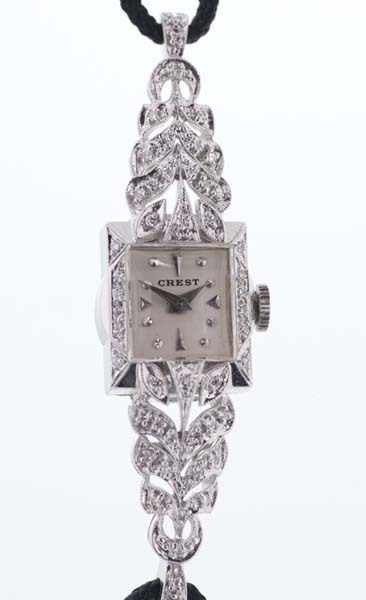 Solid gold womens cocktail watch in solid white gold with diamonds. 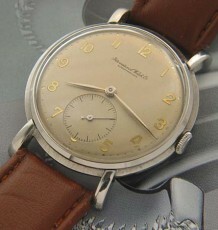 This vintage watch is one of the most stunninng womens watches I have listed for sale. 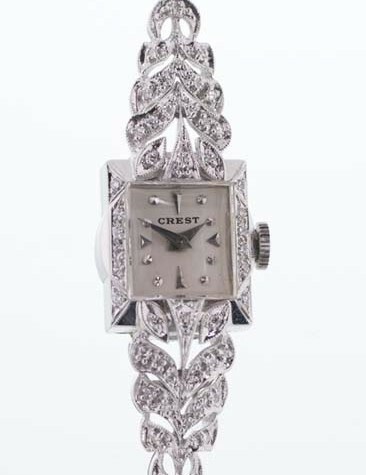 The case is crafted in solid 14 karat white gold with a long atriculated case. 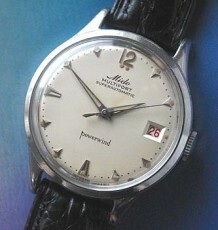 The lugs on either end are jointed to bend downward over the wearers wrist. The watch is a stunning piece of functional jewellery. The watch is fitted with a high grade Enicar manual wind 17 jewel movement, calibre 680 which was just serviced and is keeping excellent time. 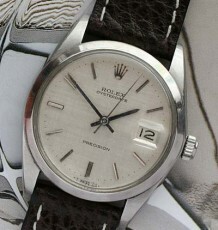 The dial is all original and signed Crest which was likely a local jeweller who ordered the watch as a house brand with a custom case. 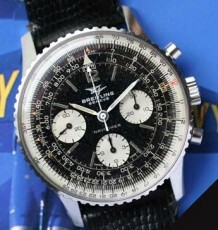 The watch case measures a huge 57 mm long by 14 mm wide and is supplied on an elegant black corded strap.